…but frequently we see performance art or installations that are more temporary. 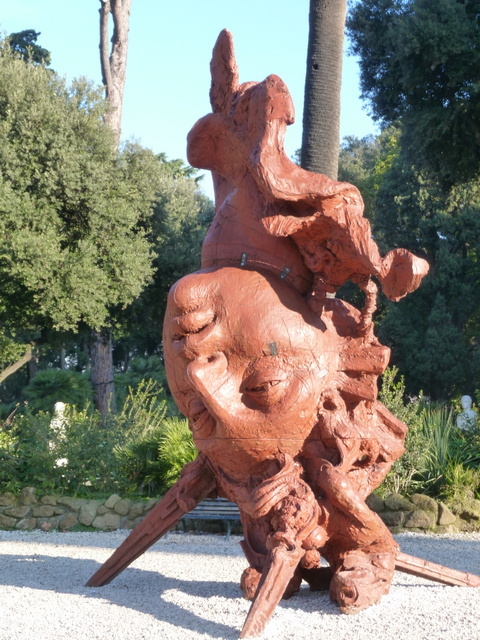 Walking through the Villa Borghese one sunny Saturday in January, we happened upon a temporary installation of warriors on horseback, along with this rather unusual giant head. All made of a lightweight resin, I think. A few weeks later they had vanished. 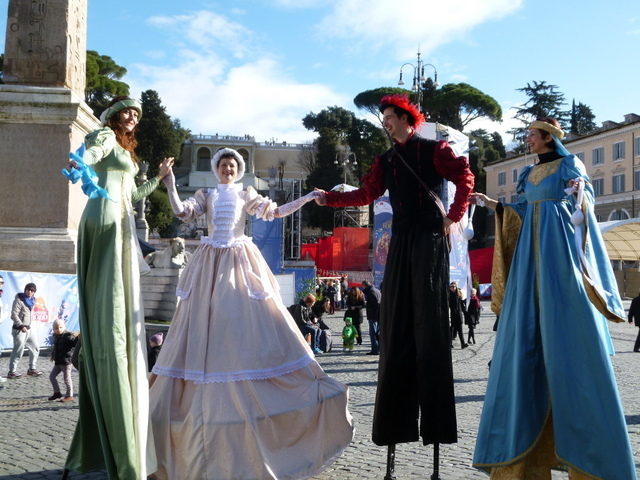 Another day in Piazza del Popolo, there was live art for Carnivale. Many things to be found happen in Piazza del Popolo: Trains, politicians, concerts, street performers. 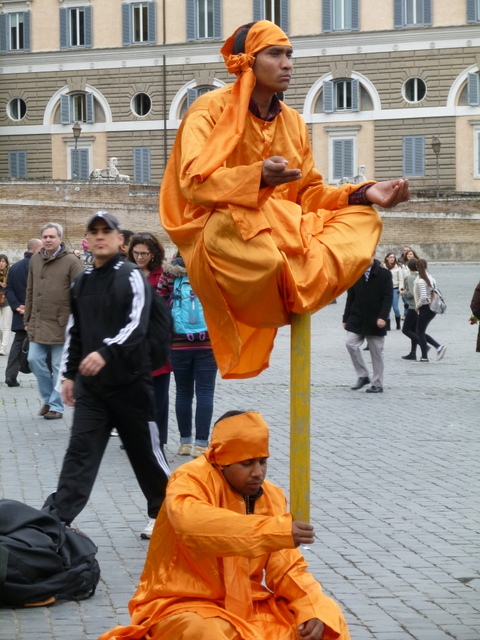 And yet another, this duo entertaining a crowd with a Zen-like balancing act. 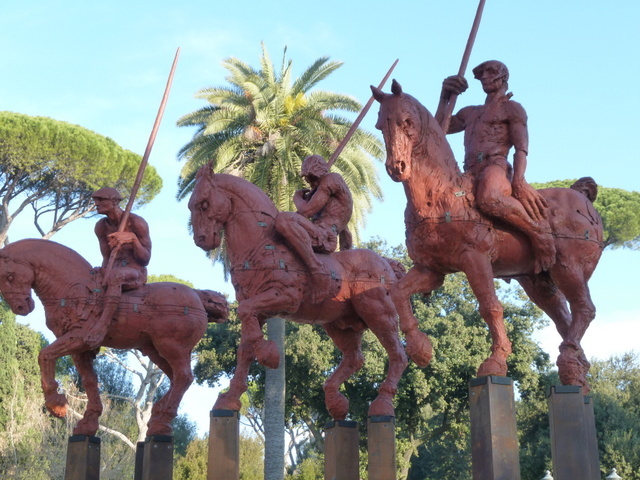 Yes, also in Piazza del Popolo. 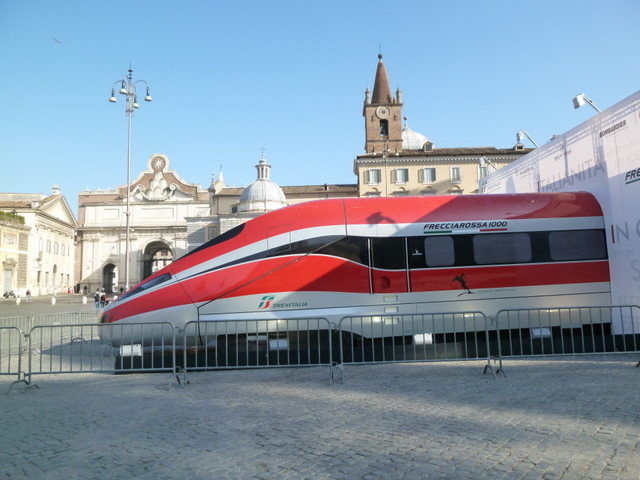 My favorite of late was walking into Piazza del Popolo on a Saturday and finding a shiny-red train engine on display with a backdrop of churches from the 17th century. Frequently on my way to work I see this lovely parade of horses being exercised. 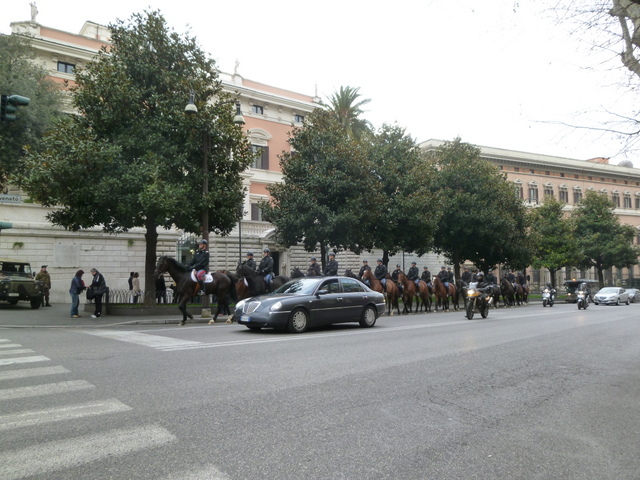 Many days the police exercise their horses, parading up the Via Veneto into Villa Borghese. Yesterday we took a walk up Monte Mario, the highest hill in Rome at 139m (456 ft). 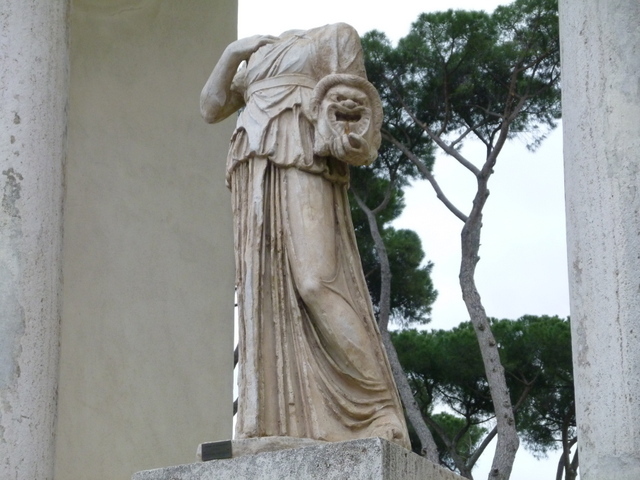 Lovely day, fluffy clouds, not too hot, great view of Rome from above, and this. Nice! Bet Ric liked the train. Yes, it caught his attention. Quite startling, actually. You can see I love all the stuff we happen upon when we aren’t even looking. Only Roma could make drying jeans into art! Love your posts! Love you! And yet so practical! 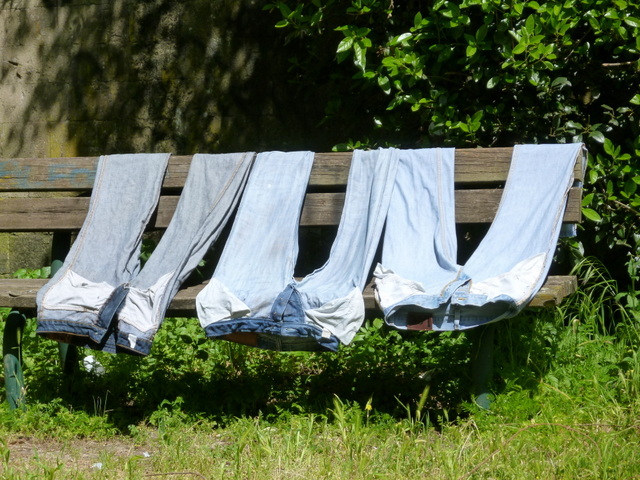 When one lacks a dryer, an outdoor clothesline, a garden, why not use a discreet public space? Love ya’ back! Envisioning your day to day adventures makes me feel like I’m reading a great novel! Italian life seems so vibrant! So happy for you! Thanks Janet! Glad you are along for the ride. Hope we get the chance to give you a personal tour one day. We think of you and John often.